Bank of Ceylon together with MasterCard International partnered to introduce Internet Payment Gateway facility which is an essential feature for eCommerce sites where products or services are directly sold to customers. The Bank proudly annouced that the Bank’s IPG hosted by MPGS (MasterCard Payment Gateway Systems) with its latest version has been implemented successfully. MPGS provides a global eCommerce solution which is safe, secure and innovative with an extensive range of built-in features and value added services. “BOC IPG enables both government and private institutions to reach a wider customer base and increase the business turnover providing instant access into new markets and geographies. It offers a seamless shopping experience for both local and overseas customers making online payment much easier.” Stated the Deputy General Manager Product and Banking Development M.J.P Salgado. “BOC IPG facilitates merchants to accept multiple payment brands in multiple payment channels using a wide range of digital payment methods from computer to mobile phone and supports multiple currencies. Advanced features of fraud and risk management in BOC IPG offer an option for merchants to keep sensitive card data away from a merchant’s system securely. This will reduce the PCI compliance burden of merchants. It further supports 3D secure verification processes using “Verified by Visa” and “MasterCard Secure Code”. This brodens the customers freedom of making online payments securely at any eCommerce site partnered with BOC IPG” he further added. Merchants do not face any hassle in integrating their systems with BOC IPG which is fully compatible with any type of web platform. Third party service providers in Air lines , Hotels, Car rentals are also able to easily Integrate with BOC IPG. Enrollment process and Integration with BOC IPG is so simple and less time consuming. Additional information could be obtained from the Merchnat Acquiring Unit at BOC Card Centre. BOC is the pioneer in introducing payment cards to Sri Lanka in 1989. “Powered by Mastercard Payment Gateway Services (MPGS), it will make safe, secure and innovative online payment processing more accessible to the Bank’s customers. It comes loaded with features and value added services that will allow them to offer their consumers a better shopping experience. 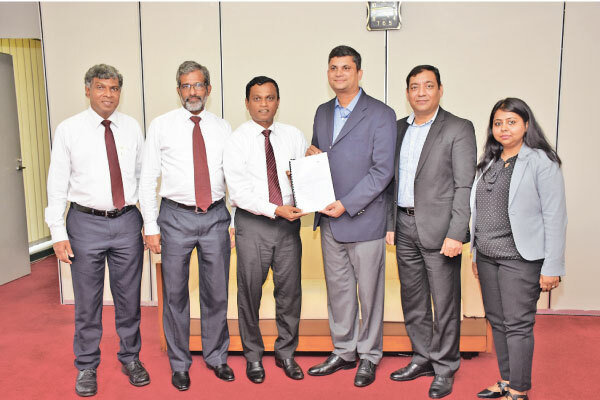 Mastercard will continue to work with partners such as Bank of Ceylon to enable greater adoption of digital payments in the island,” said R. B. Santosh Kumar, Country Manager – Sri Lanka and Maldives, Mastercard.